Stand up straight with your back against the wall. 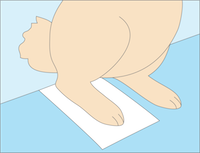 Place a piece of blank paper under your foot, making sure both your heel and the paper are flush against the wall. 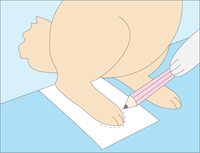 Have a friend mark the longest part of your foot on the piece of paper. 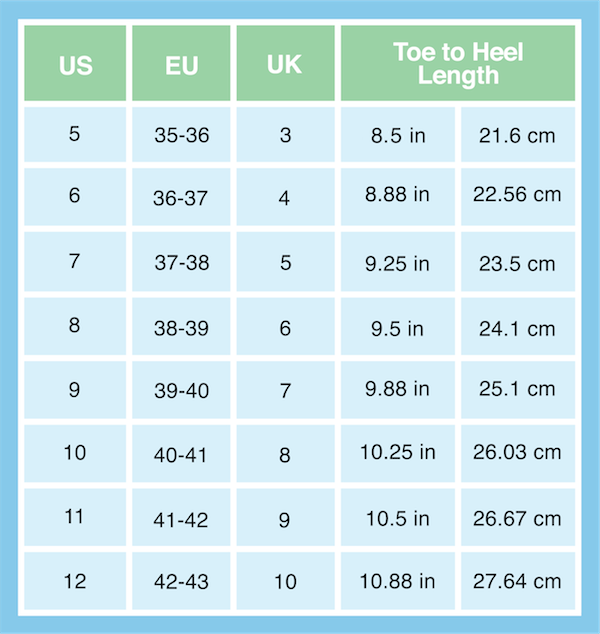 This measures your heel-to-toe length. 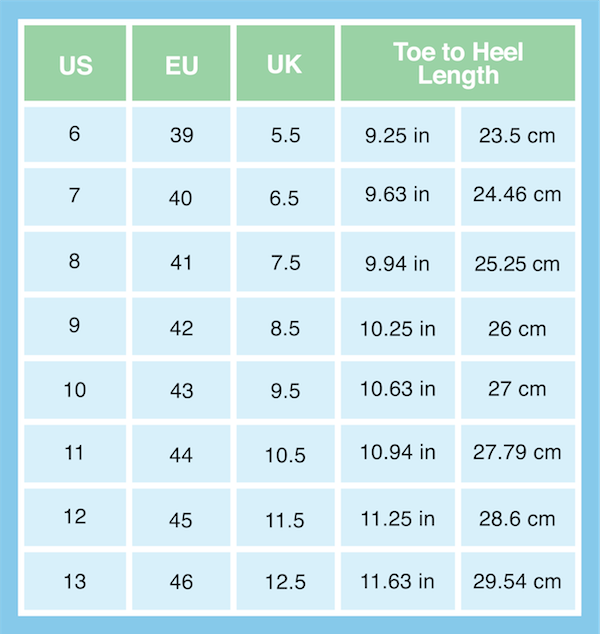 Use a ruler to measure your heel-to-toe length, and repeat with the other foot! 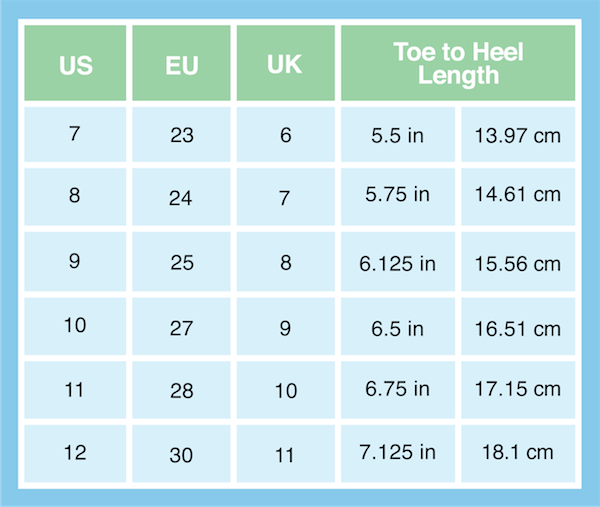 If you have questions we haven't answered here, please feel free to contact us at sales@bunnyslippers.com. 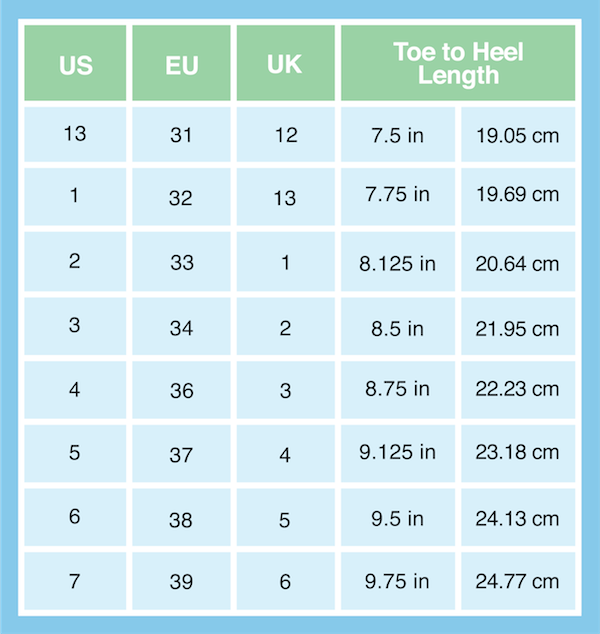 We are more than happy to answer any questions you have to ensure you get the right slipper. Please note that just as every foot is a unique shape and size, so are the slippers. 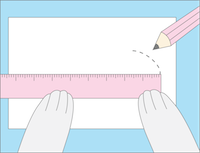 These values are a close approximation, but we cannot guarantee an exact match.